Greetings from the Oracle! It has been a while but you are not forgotten…. today the fly comes to us. Although one of the yuckier totems, they have their magic, and flies rule the day today! The first story I will tell gives the fly its true place of reverence. Way back in Sumerian times we worshiped the great sky goddess, Inanna. She took a terrifying journey to the underworld where she was stripped of her seven garments and turned into a rotting hunk of flesh by the goddess of death. Meanwhile on earth, Inanna’s handmaiden knew she was in distress, as she had not returned in some time, so the handmaiden enlisted the help of flies, who cleverly won over the death goddess, who then promised them anything they wished from the underworld. Being flies, they had a hankering for that rotted flesh hanging on the palace wall, and knowing it was the great goddess, they made it their request, which was granted. The flies took Inanna, in the form of rotted flesh, back to the earth’s surface, saving her from death. An ancient tale of death and rebirth reminds us of the power of cycles. Flies were the ones for the job, and quite diligent and clever in their work. Ancient Egyptians awarded great generals a golden fly medal to celebrate their exceptional valor – have you been brave lately? The fly is all about renewal, abundance, vision, and mobility. Flies move smoothly through Air element, which is all about communication and logical flow. Their speed, and how quickly they are consumed by predators, imbue the fly with a notable impermanence and the power of rapid change. 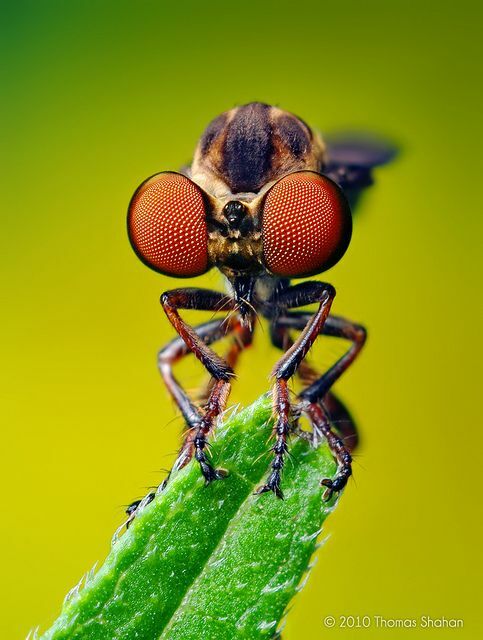 The fly has compound eyes for 360 degree vision; a panoramic perspective is created by a complex system of intelligence and depth perspective tied through neuron paths to their huge, luminous insect eyes. A truly amazing seer, the fly encourages us to use what we have, and to see all angles of our surroundings and options. The Fly totem calls us to look around us for hidden resources and useful discards. Drawn to cast away or dead things, the fly is both a scavenger and a renewer in its transformation of death back into life in the form of its own flying body sustained in this way. Flies have no teeth, thus fly totem folks best not bite off more than they can chew. Associated with Kokopelli, the Hopi trickster, a fly is also a trickster of sorts, sneakily sharing our homes and meals as the summer peaks. Flies are as shameless they are able in their persistent search for food. Resourcefulness and swift abundance are two qualities that the fly can bring to you. Their prolific life cycle only adds to the power of this totem. If the fly has come to you, consider it a blessing! Rely on its energy to help you to find hidden value around you, to see, and to enjoy great abundance.